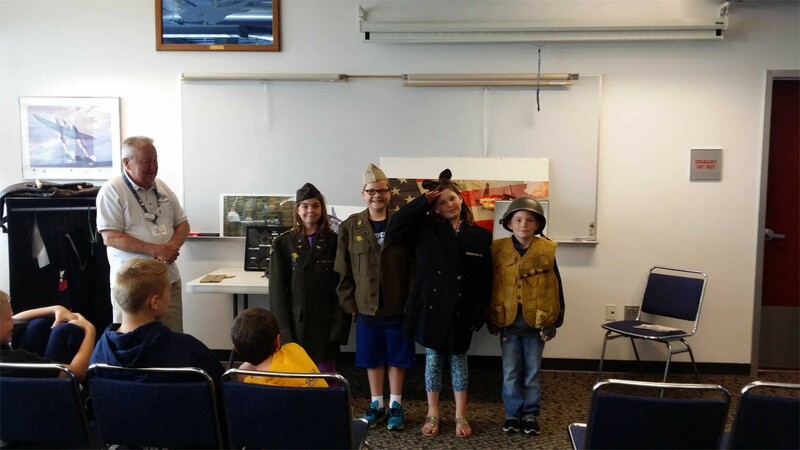 Through the Richard I. Bong Veterans Historical Center's traveling trunk program, students can hold and even try on historical objects from its archival collections. Image courtesy of the Richard I. Bong Veterans Historical Center. Named in honor of the United States’s all-time ace pilot, the Richard I. Bong Veterans Historical Center opened in 2002 and quickly became a popular destination in the Twin Ports area. Initially intended as a space to honor and educate the public about those who served in World War II, the center’s mission has since expanded to include veterans from subsequent conflicts. The preservation of archival materials related to veterans and the home front during foreign conflicts is key to the center’s mission. During its first decade of operation, the NEH provided crucial support as the center developed a system to preserve these items in stabilized environments. 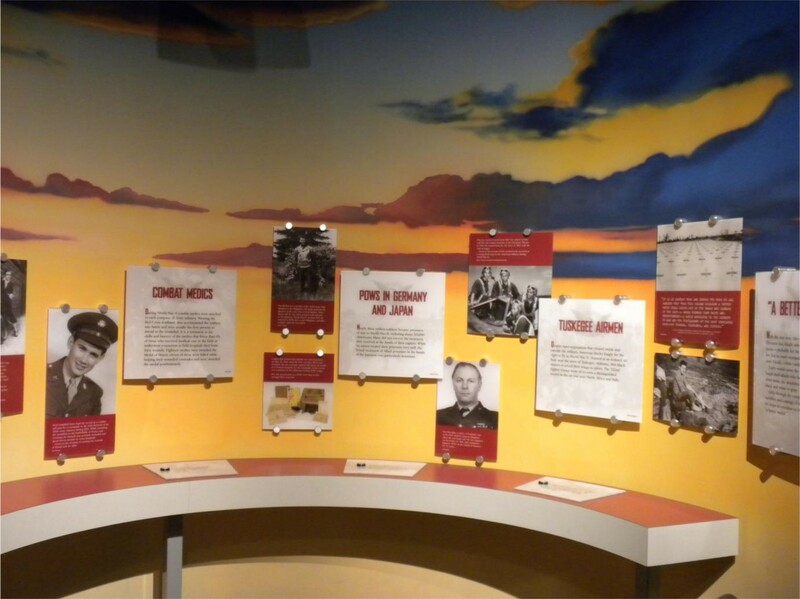 The center's permanent exhibitions focus on the United States's military engagements during and after World War II. Image courtesy of the Richard I. Bong Veterans Historical Center. With the help of three grants, which allowed it to hire expert consultants and purchase materials, the center preserves our military heritage for future generations and so that we can learn from it today. Its collection of more than 10,000 artifacts, among them letters, diaries, oral histories, uniforms, weapons, and newspapers, forms the backbone of its exhibition and educational mission. 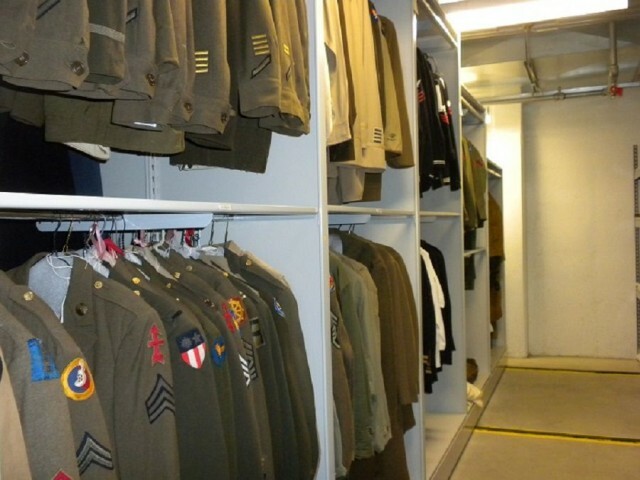 And through a traveling trunk program, the center is able to send uniforms and other items to K–12 classrooms, where students can hold and even try on these objects, providing them with a stronger connection with the real people who serve in our military. NEH grants have helped the Richard I. Bong Veterans Heritage Center preserve military heritage. Image courtesy of the Center. The center hosts permanent exhibitions focused on the United States’s military engagements during and after World War II. Through personal artifacts, The Richard Bong Story showcases Bong’s life growing up on a Wisconsin farm and then as a war hero who received the Medal of Honor. Other exhibitions tell the story of World War II more broadly, as well as that of the Korean War, the Vietnam War, and the Cold War. The center is visited by thousands of school children each year and hosts a range of public programming, including monthly speaker programs and day camps for 2nd–6th graders. In 2017, the center hosted screenings of Ken Burns’s documentary, The Vietnam War, as well as a Military/Civilian Vehicle Show.